Paralegal Internship, What Happens During a Paralegal Internship? Paralegals are supportive legal professionals who assist attorneys in many different areas. Because paralegal work is so important to the everyday operations of a law office, many top law firms prefer to hire paralegals who already possess some degree of legal experience. 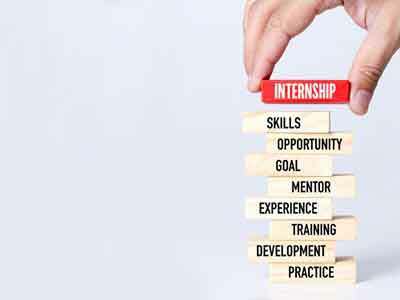 In order to gain the experience that law offices prize so highly, a good deal of aspiring paralegals choose to complete a paralegal internship. Participating in a paralegal internship is one of the best ways for potential paralegals to gain real word experience and to learn how a law office functions. If you’re thinking about taking part in a paralegal internship, you should learn more about what the entail and why they’re important. What Happens During a Paralegal Internship? During the course of your paralegal internship, you will work in a law firm alongside both lawyers and certified paralegals. By performing common paralegal work, you will master the most important tasks related to the profession and learn how law offices operates on a day to day basis. Typical tasks you might be requested to perform during your internship can include assisting with legal research, client interviews and writing legal documents. The benefit of a paralegal internship is that it gives you practical experience in the field. While your paralegal degree work may have covered legal concepts and paralegal duties, you won’t be able to fully understand the profession without real-world experience. The obstacle that many aspiring paralegals run into is being able to find a paralegal internship. If you’ve never tried to take part in an internship before, you may not know where to look or how to be accepted into a program. Fortunately, there are many avenues for you to find a paralegal internship. The most common way for you to find an internship is through the course of your degree. If your paralegal studies degree requires you to complete an internship before graduation, they will often provide a list of local law firms that accept paralegal interns and how you can apply. If your degree does not require an internship, there are a few ways that you can find a program. First, you can cold call attorneys in your area. If you make enough calls, you will eventually find a firm willing to take you on. Second, do an internet search. Many law firms will list their internship opportunities online and may even allow you to apply over the internet. Do I Need to Complete an Internship? Although completing a paralegal internship is not necessarily a requirement for working as a paralegal, it can be advantageous to your career. As mentioned, law firms prioritize paralegals that have work experience, and if you don’t complete an internship, you may lose out to an applicant who has. In addition, an internship will better prepare you for a paralegal career and will increase your likelihood of success. If you’re serious about become a professional paralegal, you must complete a paralegal internship. Completion of an internship will improve your chances of being hired by a top law firm and will give you the skills most important for working as a paralegal.